Need To Buy. Grocery shopping list for iPhone. 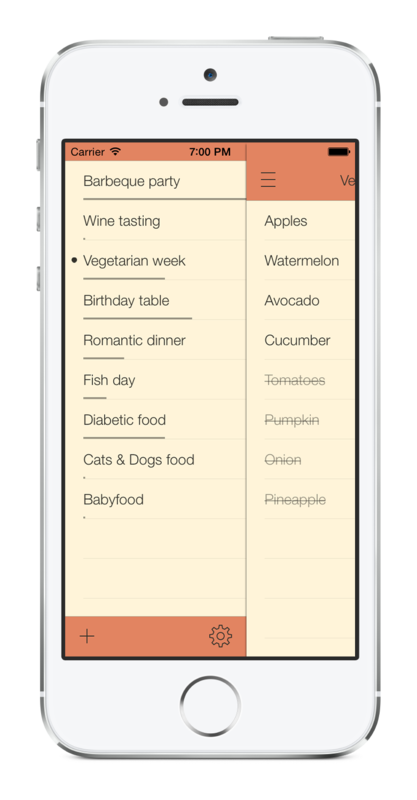 Helps you to manage grocery shopping lists. Very easy and intuitive interface. Has fully customisable UI colours and fonts. Auto-suggested products dictionary saves your time.